The XJTAG development system has enabled CRFS to speed up debug, test and programming of its innovative spectral analysis tools and smooth the transition into production, allowing the company to respond to the growing demand for equipment to monitor and manage the wireless communication spectrum. CRFS has recently been selected by Ofcom, the UK communications regulator, to undertake one of the most detailed spectrum mapping projects ever conducted in the UK. 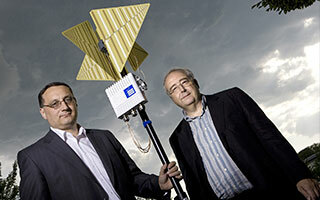 It will use its purpose-built and technically advanced RFeye™ system to gather the radio spectrum data. RFeye is a distributed, GPS-based interference measurement system that can survey radio spectrum. Its applications include frequency interference detection, spectrum usage database, license enforcement, spectrum release and liberalisation, cell planning, RF environment check and remote site monitoring. The system can rapidly scan the entire frequency range from 10 MHz to 6 GHz to build a picture of spectrum usage. At the heart of RFeye is a fully programmable embedded Linux processing platform with high-speed digital signal processing acceleration support in the form of a Xilinx 1152-pin field programmable gate array (FPGA). To speed up debug and test of the circuit boards making up the system, CRFS is using the XJTAG boundary scan test system. Alistair Massarella, CEO at CRFS, explains: “XJTAG is an absolute necessity for any company designing complex circuits that feature high pin count BGA or chip-scale devices. XJTAG is easy to use and incredibly fast, which has enabled us to shave weeks off the development schedule for our RFeye module thereby freeing our development team from time-consuming debugging tasks. XJTAG can also test both JTAG and non-JTAG devices which means that test coverage is very high – we can get to over 80% of devices on the RFeye boards via the JTAG chain. What’s more, XJTAG provides the ability to re-use and port test scripts between circuit boards which saves us loads of time”. Boundary scan testing, defined by the standard IEEE1149.1, allows engineers to test a high proportion of components on a board without requiring physical access to probe individual signals and device I/Os. XJTAG makes boundary scan testing easier and faster, with tools such as the high-level XJEase programming language that is both easy to use and allows engineers to write detailed, incisive tests. Because XJTAG tests are written from the device’s perspective, they can also be re-used in subsequent projects and thereby deliver ongoing time savings. Other powerful features such as XJAnalyser and XJDeveloper empower engineers to achieve a high level of test coverage, with graphical support to speed up test development and interpretation of results. XJTAG is an absolute necessity for any company designing complex circuits that feature high pin count BGA or chip scale devices. XJTAG is easy to use and incredibly fast, which has enabled us to shave weeks off the development schedule for our RFeye module thereby freeing our development team from time-consuming debugging tasks. Test coverage is very high – we can get to over 80% of devices on the RFeye boards via the JTAG chain – and XJTAG is designed to be used throughout the entire product lifecycle from design and development through to the factory floor and beyond. CRFS is a developer and manufacturer of innovative real-time spectral analysis tools, which are used for applications such as spectrum mapping projects by wireless communication regulatory bodies. Other users include wireless network operators, equipment manufacturers, and third parties who need to survey, investigate, monitor or regulate the radio frequency (RF) spectrum.